If there’s one thing a community needs, it’s a home with open doors and welcoming people. Bay View United Methodist Church does exactly that. Every week, Pastor Kelly and Pastor Andy create a friendly and accepting atmosphere in their church. “Everybody is welcomed, and we do our best to honor that every week,” said Pastor Kelly. 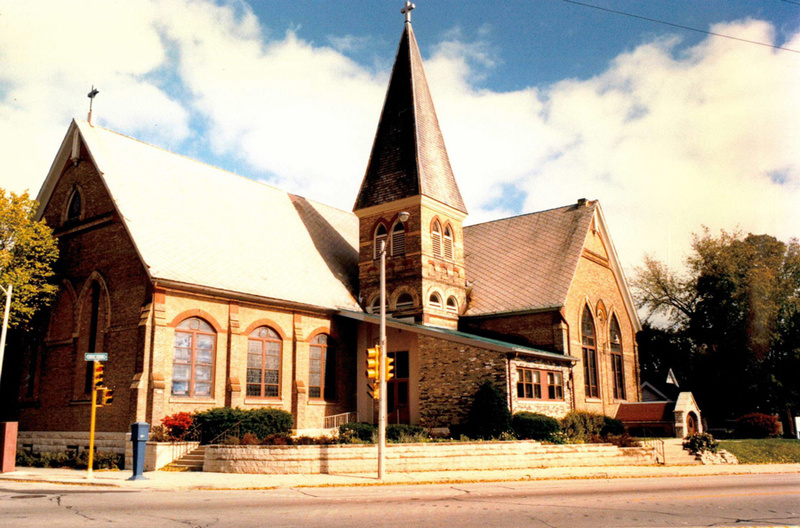 Bay View United Methodist Church offers ministries such as Bread & Jam – serving a free meal is every Sunday afternoon to anyone that comes and inviting all kinds of help to prep and serve the guests each week. They also host a monthly Memory Café that welcomes any couple/family dealing with memory loss of any kind. Pastor Andy and Kelly are both second career pastors. Andy and Kelly continue by saying they see the whole spectrum of gender when it comes to the image of God, interchanging the pronouns He and She when referring to God. Kelly and Andy work alongside a collaborative collection of people with different experiences and ideas that enhance to the ministry. As a church and part of the Wisconsin LGBT Chamber of Commerce, they were awarded Nonprofit Organization of the Year at the 2016 Business Awards & Expo in May. The church has a track record of success and involvement in building a diverse community. Bay View United Methodist Church has participated actively in the Chamber, including in the LGBT Gives Back event. “We are a community welcoming ALL people,” said Pastor Kelly. For more information, visit them at 2772 S Kinnickinnic Ave in Milwaukee or their website BayViewUMC.org.